As a published author, I often get asked about my best advice for unpublished authors? My answer is the same advice I’d give anyone with a dream to achieve something special. To borrow from Churchill: Never, never, never give up! 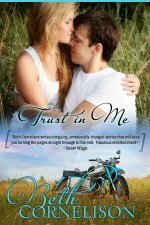 My story- I had been submitting to Silhouette for the Intimate Moments (now called Harlequin Romantic Suspense) line for three years, and every manuscript received the same response. “Close, but not quite right for us. What else do you have?” The associate editor I was working with like my books, my voice, but every trip to a senior editor’s desk resulted in rejection. So the manuscript went to the interim Intimate Moments senior editor while the official senior was overseas on an extended vacation. But this interim editor rejected it because it was too similar to other books they’d recently published. (Well, yeah! In the two years after 9/11, a lot of fireman books got written because firemen were selling like hotcakes!) I received the rejection letter AT RWA NATIONAL in New York in 2003. To say I was crushed would be an understatement. Even my agent was ready to give up. In our meeting, she told me she thought we might be beating our heads against the wall at Harlequin, and she challenged me to right a “bigger” book (bigger stakes, more complex characters, more plotlines, bigger everything) to market as a single title. “Sure,” I said morosely. What did I have to lose? But while Reyn’s Redemption had been desk hopping in New York, I’d been writing another submission for Silhouette. I’d titled it Dragonslayer, and it had been doing well on the contest circuit. As long as it was finished and my Silhouette editor had asked to see it, we decided to send it in as a last shot effort. If they didn’t buy Dragonslayer, I was through submitting to Silhouette. It took me forty-five excruciating minutes to get in touch with her, but finally we connected. At last I heard those golden words. Harlequin/Silhouette wanted to buy Dragonslayer for the Intimate Moments line! I was going to be a published author! Dragonslayer was later retitled To Love, Honor and Defend and was released in April 2005. Since then, I’ve sold 15 novels and 2 novellas to Harlequin, and I continue to write for the line that first bought me. The moral of this story? Never, never, never give up! 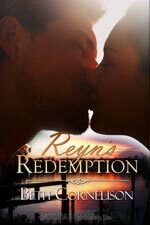 If I’d given up after Reyn’s Redemption was rejected, I never would have sold to my dream publisher. 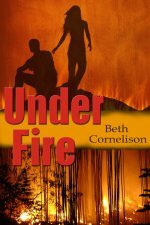 If I’d quit writing when I was feeling crushed by that rejection, I would never have written (and later published with Samhain) Under Fire, which is still one of my favorite of my books. And I wouldn’t have a job that allows me to set my own hours, work in my jammies and make up stories for the people that live in my head. Hang in there, my friends. Dreams do come true! Love this post. It's so true. You have to persevere if you want it bad enough. Sometimes I take a rejection as just another challenge to prove to myself and others that I can do this. Wishing you continued success. Glad you persisted, Beth. You are a great author and I am looking forward to read your new books. Thanks, Tammy! Pat your kitties for me! Inspiring story, Beth. I'm so glad you didn't give up. Healing Luke is on my keeper shelf.